Randy Shulman arrived in Washington in 1976. Fifteen years down the road with Metro Weekly, Randy Shulman admits “I didn’t expect to do this!” “This” being creating, editing, and managing a major gay community newsmagazine that grew out of the short-lived Michaels, chronicles arts and entertainment citywide, offers editorial portraits and question-and-answer sessions with major local and national personalities, and which became along the way an essential historical research resource. At NYU, Randy had accepted his gayness and on returning to Washington in 1980, he began his gay socialization. Over the next few years he explored DC’s gay club scene while building his journalistic career as a film and film columnist for The Reston Timesand Hill Rag. In 1993, at 17th Street’s Pop Stop he met a group of people working on Murray Greenberg’s magazine Michael’s and took a job doing arts and "around town" articles, a precursor of the later “Hearsay” column in Metro Weekly. Though Michael’sonly lasted a year, many of the magazine’s features developed by Randy, such as question-and-answer sessions with local personalities, carried over into Metro Weekly. When Michael’s shut down, Randy saw an opportunity to create a new arts and entertainment weekly that fixed what didn’t work atMichael’s. A number of his comrades from Michael’s carried over to the new periodical, including Sean Bugg (whom Randy had met at JR.’s), the author of "The Back Room" column at Michael’s. Since Metro Arts & Entertainment Weekly premiered on May 5, 1994, Randy has been indelibly linked with the magazine he created out of the ashes of Michael’s. He has no illusion of having done it alone, asserting that “Metro Weekly is everybody who ever worked for it.” He credits Sean Bugg with much of its success and endurance adding, “he acts as a check on my crazy ideas.” The Back Room column, finally bylined, carried over to Metro Weekly and was one of the magazine’s early hits. Another enduring feature of Metro Weekly has been its “Out on the Town” arts and entertainment calendar. Randy, an avid photographer, took to the streets with his camera accustoming bar crowds to having a photographer in their midst and creating the originals of the popular (“Did you see me in MW?”) “Scene” pages. A succession of talented art directors, whom Randy is happy to enumerate, have evolved the weekly from its original 6”x 9” size to today’s 8 x 10 1/2” glossy with equally talented photographers providing a stream of eye-catching innovative covers. From the outset, Randy vowed that the new magazine would cover the gamut of the arts, not just gay-oriented things. "We built an arts section that’s comprehensive,” he says. 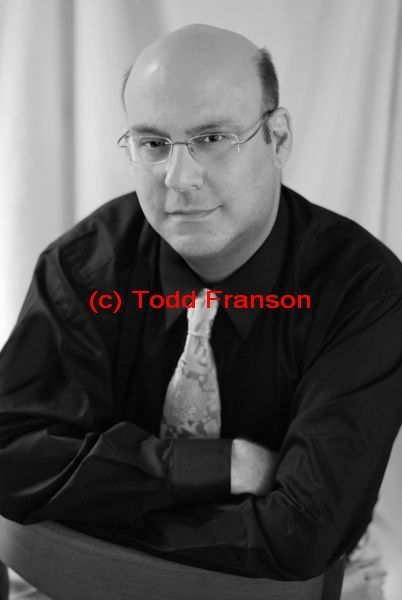 Randy’s twenty years of arts journalism have brought a network of contacts that have helped Metro Weekly land interviews, such as the 1994 Carol Channing interview, that make the magazine such a resource. Like the conductor of an orchestra, Randy Shulman believes everyone has a gift and that once they find their gift they should be allowed to run with it. Directing his talented team, Randy has created an irreplaceable community institution. En route to the present they have created a new visual style and memorable content.